Milk and cookies? Why not milk kefir and cookies?! Give this recipe a go and you will have a smoothie and a cookie all in one! Place the cookie, milk kefir and milk into a blender. 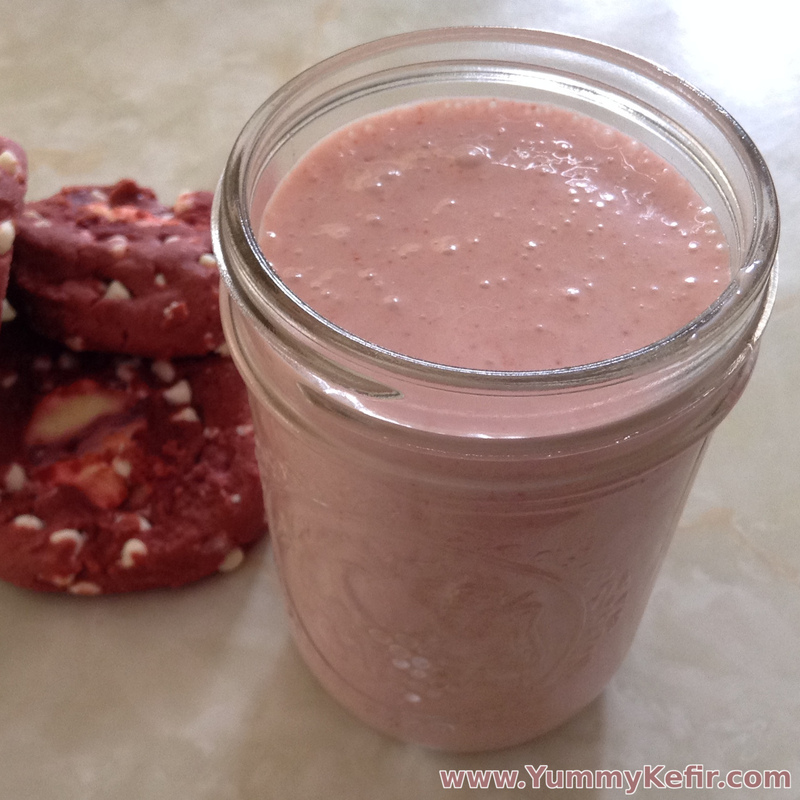 The smoothie pictured was made with a red velvet cookie. that’s so brilliantly easy! thanks! !